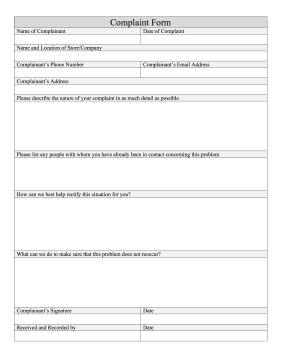 This general complaint template can be used for any general problem that needs addressing. How can we best help rectify this situation for you? What can we do to make sure that this problem does not reoccur?